Huawei has grown from a local Chinese _phone_ maker known elsewhere for not more than making cellular network equipment to smartphone stardom in a matter of just a few years. 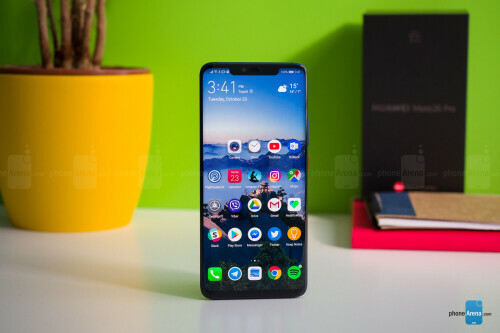 And while the company was denied access to the US market, based on suspicions of ties with the Chinese Government, it is taking over the rest of the world with aggressively priced phones with great design. 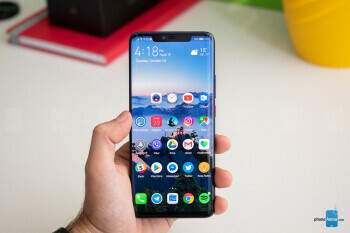 These days, however, Huawei is no longer interested in selling just affordable devices: its latest Huawei Mate 20 Pro is an all-out premium _phone_ packed with the latest technology including a futuristic in-screen finger scanner, a 3D face recognition system, an ambitious triple-camera, and a fast-charging battery, all encased in a beautiful body. And all of that does not come cheap: it’s right there at about the same price as the iPhone XS series, and it's more expensive than previous Android price champions like the Samsung Galaxy Note 9. So… is Huawei ready for prime time with its new Mate 20 Pro? And should you buy one for yourself? Let’s dive in the review to find out. All the right curves in all the right places. 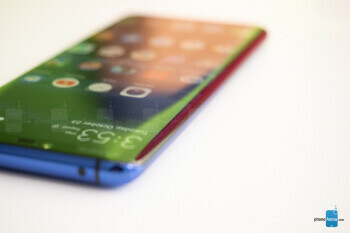 The Huawei Mate 20 Pro has a surprisingly thin and narrow body for a phone with a 6.4-inch screen. Both the screen and the back are curved at the edges, much like a Samsung Galaxy phone, and there is very little bezel around the side and the bottoms, which has allowed Huawei to make the Mate 20 Pro much narrower than, say, the iPhone XS Max or the Galaxy Note 9. Indeed, the Mate 20 Pro fits very nicely in the palm and is easier to operate with just one hand than the aforementioned two bigger phones. Still, the tall body is not small by any conventional means, and just like with other big phones, you won’t feel very comfortable walking with the Mate 20 Pro in the front pocket of your jeans. 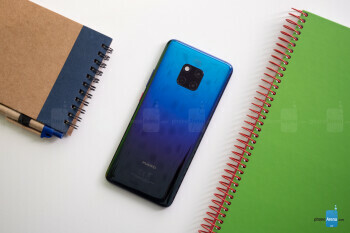 Huawei offers a few different colors for this new Mate: we have the signature Twilight color gradient which looks stunning, but you also have a new “Midnight Blue Hyper Optical” finish that is glass, but treated in a special way so it is better at resisting fingerprint smudges and is not as slippery in the hand. You also have a black version, a Pink Gold one and an Emerald Green model. 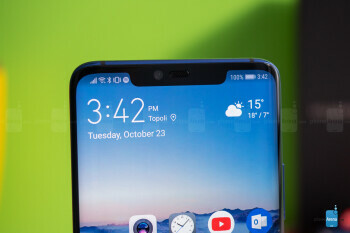 All physical buttons on the Mate 20 Pro are located on the right side: you have a power key and volume buttons above it. The buttons are made of metal, just like the side of the phone, and have a good amount of travel and click. Up at the top, you can find an infrared (IR) blaster, so you can use your Mate as a remote control for a TV, A/C unit, or whatever else you have in your home that uses infrared controls. This works best with the Smart Remote application that comes pre-installed on the phone. 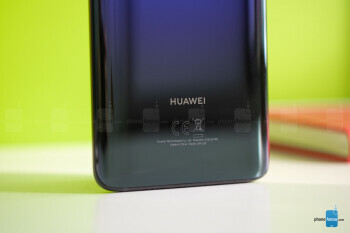 There is no 3.5mm headphone jack on board here (Huawei does provide a USB-C to 3.5mm audio dongle in the box) and instead you are encouraged to use wireless buds or USB-C headphones. The Mate 20 Pro also features dual speakers, but with a surprising, clever implementation: the secondary speaker is actually embedded in the USB-C port, so audio comes at you from the earpiece and the USB-C port. This means that when your phone is plugged in for a charge, audio will sound a bit muffled, in case you wondered. One more thing: this phone is also IP68 water protected, which translates into an ability to survive drops in water of up to 6 feet deep for as long as 30 minutes. The Mate 20 Pro is one of the first phones out there to feature a brand new type of a fingerprint scanner: one embedded in the screen. 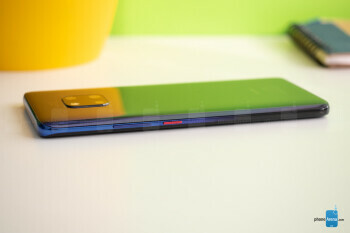 This new in-screen fingerprint scanner is an optical one, rather than the ultrasonic one that Qualcomm is developing. And you can see how the screen of the phone lights up for a second when you tap your finger against it, so that the phone can get a proper, bright scan of the finger. How does it work? 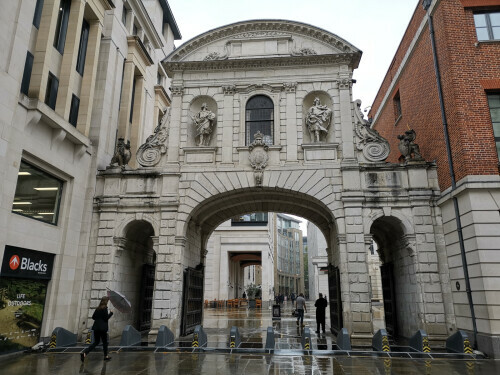 Mostly well, but… it is not quite perfect. We have gotten used to traditional fingerprint scanners that are lightning quick, where you just tap your finger on the fingerprint area and the phone unlocks instantly. 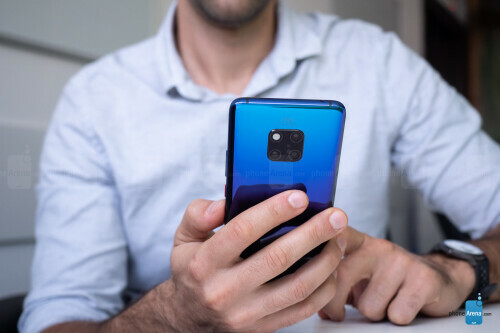 In the case of the Mate 20 Pro there are two things that get in the way: the first one is the fact that there is no physical boundary that would give a tactile indication of where the fingerprint scanner lies, so you need to look down at your phone to nail the exact position where your finger needs to be every time; the second thing is the actual force required to get a proper finger scan, as you need to press a lot firmer and longer than the gentle tap required from a traditional fingerprint reader. If you don’t press as hard, the phone will not unlock and you would need to try again. 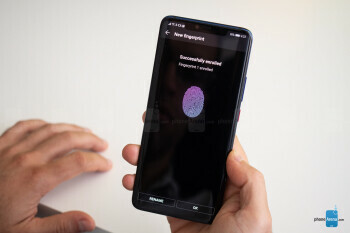 At the end of the day, you do get used to it, and sure, the accuracy is good enough, but even after hundreds of attempts, the in-screen fingerprint scanner still did not feel as fast and as effortless as a traditional one. Thankfully, there is one more way to securely unlock the Mate 20 Pro and it’s called 3D depth-sensing face recognition. This system is basically a copy of Face ID, which Apple introduced last year on the iPhone X, and it uses a similar array of components: a dot projector, a flood illuminator, an infrared camera and the rest. How does it work? Quite great, actually! 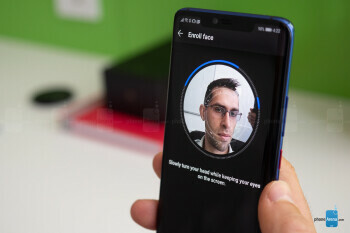 We are happy to report that 3D face recognition on the Mate 20 Pro works at least as fast as Face ID on the iPhone X/XS and can accurately recognize your face as it changes from your puffy-eyed self in the early mornings to your 5 o’clock evening stubble self and to those times when you grow a beard; it’s able to recognize your face during the day and at pitch black conditions at night, with or without a hat, with glasses and so on. We set it up once and never had a problem with it. We also tried fooling it with a photograph and faces of other people, and it wasn’t fooled. So… all is perfect, right? There is one tiny detail that we have to mention: the almost non-existant raise to wake functionality. While technically raise to wake is present on the Mate 20 Pro, it requires a very swift and well defined hand movement, which we almost never do in real life. This means that for all its worth, raise to wake does not work properly on the Mate 20 Pro and you need to first press the power key before the phone starts recognizing your face. This might sound like just one step, but it’s one step that you do tens, if not hundreds of times every day, and it adds unnecessary complication. 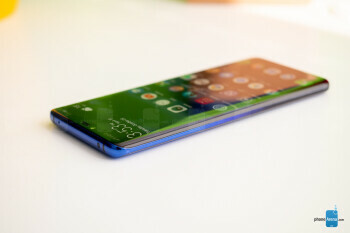 Having a raise to wake feature would make using 3D face recognition truly a fluid and intuitive experience, and we hope Huawei listens and brings this to the phone in a future update. 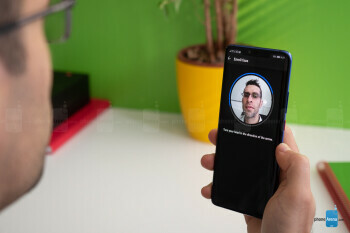 Still, after using the Mate 20 Pro for more than a week now, we are convinced that face recognition is a more effortless security system than the in-screen fingerprint scanner and we have stopped using the in-screen fingerprint scanner completely. 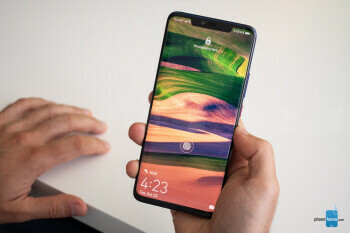 Of course, it’s nice having this choice, and it will be up to everyone to find what works best for them, but Huawei has really implemented face recognition in a nearly flawless manner. Being a premium phone, it’s no surprise that the Mate 20 Pro sports a beautiful AMOLED screen with lively, rich colors. It’s a 6.4-inch display with a 19.5:9 aspect ratio, the same as on Apple’s iPhones, but with a higher, Quad HD+ resolution of 1440 x 3120 pixels. The screen is slightly curved at the sides and has very thin bezel, which makes for an immersive experience and a screen-to-body ratio of nearly 88%, one of the highest in the industry. 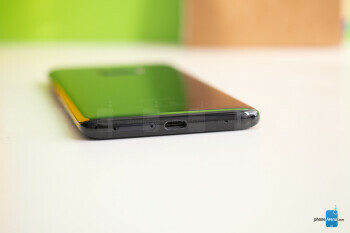 And yes, there is a notch here as well, justified by the complex front camera system required for 3D face recognition. You can hide it via an option in settings (and when you do, system icons at the top still appear in the “ears”, but against a black background). The screen also gets very bright during the day, and you have the Eye Comfort option for use at night. There is even a Natural Tone mode that adjusts the white balance to the surrounding conditions so you get more natural, warmer white colors at night when you are at home. The Always-on Screen mode is not enabled by default, but it is here and you can turn it on from Settings > Display. The Mate 20 Pro ships with its own interface, Emotion UI, also known as EMUI, in its most refined, 9.0 version on top of the latest Android 9 Pie. 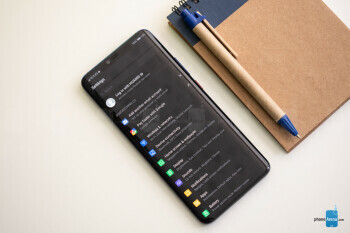 EMUI is in many ways a copy of iOS: there is no app drawer, it uses the same swipe-down home for a quick search shortcut, it even uses copycat icons for apps like Phone, Health, Settings, Calendar, Weather, and others. And yes, that is just shameful, but if you are willing to overlook this, EMUI actually works fairly smoothly.Compared to earlier versions of the interface, there is now way less clutter, and controls for apps are conveniently located on the bottom of the screen, rather than the top, for easier reach. The Mate 20 Pro is also an Android phone, which comes with the options to customize it fully to your liking (great! ), but it also means that you don’t know when future updates will arrive and if they will arrive (not so great!). There are a few particularities that we have also noted when using EMUI on the Mate 20 Pro: first, there is no way to quickly swipe down to reveal your notifications shortcut. You have to reach all the way to the top, which is definitely not very convenient on such a tall phone. Instead, a swipe down in EMUI brings up an iOS-like search menu. This is an interesting thing to have and makes searching for apps on an interface without an app drawer much easier. If we had to nit-pick, we’d say that we wish the keyboard for this search appeared with less of a delay, but that’s really a minor thing. The Mate 20 Pro also comes with a brand new gesture navigation. You can either use the old, three-button Android navigation or use gestures and enjoy the full screen, without any buttons taking up space on it. 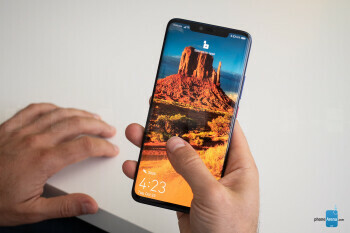 The gestures are the following: swipe up from the bottom to go home, swipe up and hold to see multitasking cards, and swipe sideways from the edge of the screen to go back. This is basically the iOS way of doing gestures, so does it work as well? It’s not quite perfectly polished, and here are a few examples why: first, bringing up the multitasking cards from home requires a very long gesture and is too hard to pull off. Second, the back gesture requires that you go from the very edge of the screen, and when you are in a hurry, you don’t always get it right. Often you have to repeat it again and again. Third, when you swipe up to go home, apps close with a very jittery animation. And lastly, we wish you did not have to wait for each animation to finish before you could move on to the next swipe or gesture that you are about to do. Those little things pile up, and while overall gesture navigation on the Mate 20 Pro definitely does work, it also definitely does not feel as polished as one would expect on a premium phone. One thing that we appreciate on the Mate 20 Pro is the dark mode in the interface that you enable by going into Settings > Battery > and here you toggle the “Darken interface colors” option on. This will turn the background in the settings menu and notification shade to black, a color that’s easier on the eyes at night and that contributes to battery savings on phones with OLED screens. The Mate 20 Pro is powered by Huawei’s newest in-house Kirin 980 chip. The Kirin 980 is a powerful chip that beats the Qualcomm Snapdragon 845 in benchmarks and the first in an Android phone built on a 7nm manufacturing technology. Huawei says that it has spent years and big money on developing this chip, and it’s impressive how the company has outpaced Qualcomm in the 7nm race and has managed to be the first one to introduce a 7nm Android device. The Kirin 980 works alongside 6GB of RAM and features the Mali G76 GPU, which is good news for gamers. 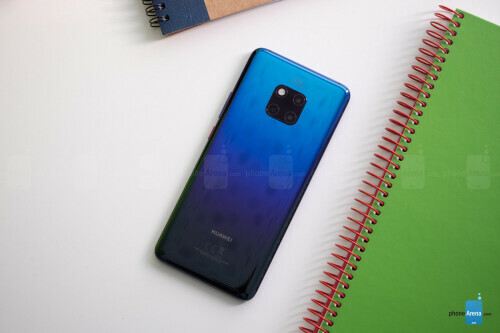 Huawei, however, is most proud of its new dual neural-engine processor that helps with AI and machine learning, enabling features like the 1,500 different scenes that the Mate 20 Pro camera can recognize and a few cool new tricks in video. Keep in mind, though, that by default the phone runs in a power-optimized manner, and you would need to enable the Performance mode (go to Settings > Battery > toggle Performance Mode on) in order to use the full power of the chip. When you look at benchmark results, the Kirin 980 ranks better than the Snapdragon 845, but it is no match for Apple’s A12 chip, the world’s first 7nm chip. You also have a generous 128GB of on-board storage here with support for a brand new type of memory card that Huawei calls nanoSD. This is done to optimize space as a nanoSD card is about the same size as a nanoSIM card. Here is how it works: you have a new SIM tray that has two slots, but rather than the two slots being one next to the other and take up a lot of space, the slot are one on top of the other. This also means that you can use the Mate 20 Pro as a dual SIM phone or use one nanoSD + one nanoSIM. The Mate 20 Pro comes packed with 4G LTE bands that ensure that it will work properly on most networks across the globe. Yet still, let us remind you that the phone is not officially sold in the United States, and if you are planning to import it, it would be best to check with your carrier to see whether it would be compatible. Again, let us reiterate that you can use the Mate as either a dual SIM phone, or use the secondary slot for the new nanoSD card standard, the choice is yours. In terms of other connectivity options, you also have dual-channel Wi-Fi, Bluetooth 5.0 and NFC support. 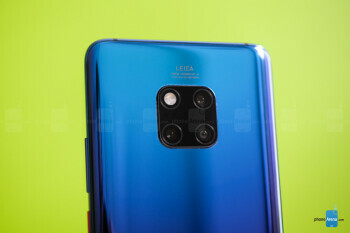 The Mate 20 Pro comes with three cameras on its back: we have a main, 40-megapixel f/1.8 shooter, a secondary, 20-megapixel ultra-wide angle, 16mm lens, and a third, 8-megapixel telephoto camera with 3X zoom and optical image stabilization for an equivalent of 80mm focal reach. 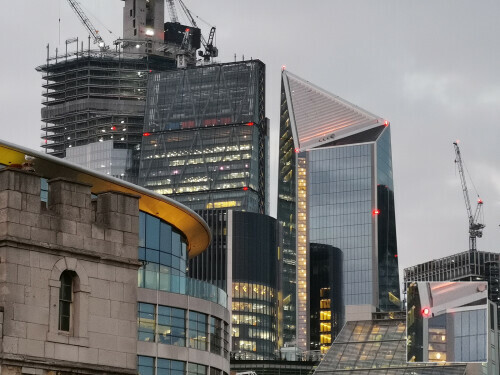 You also have a pre-set 5X zoom option (135mm), which is an improved digital zoom that uses information from both the main sensor and the telephoto camera. 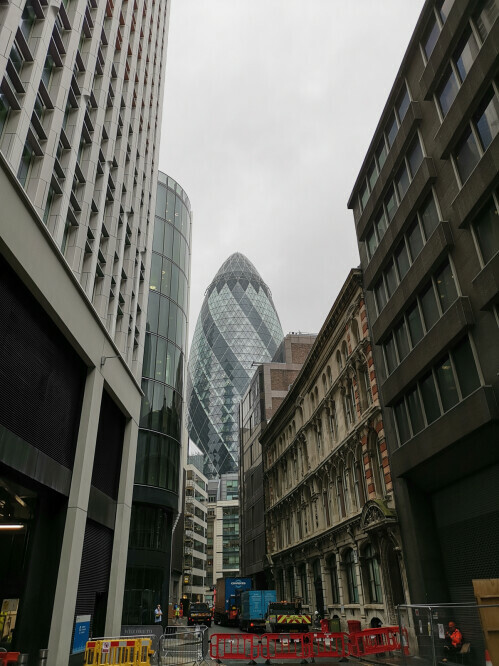 There are few phones that can go as wide without a third-party lens adapter and none other that can zoom so far away with such a clarity as the Mate 20 Pro, so it’s definitely a very alluring camera phone with unmatched versatility. Pretty good, in fact. 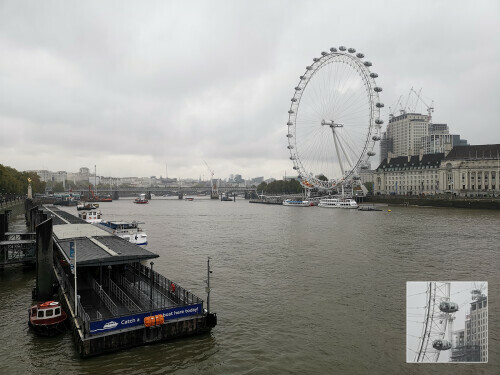 The Huawei Mate 20 Pro captures photos with a wide range of colors and at different focal lengths, but is just a step below the two current leaders in smartphone cameras, the iPhone XS series and the Google Pixel 3 series. Why? 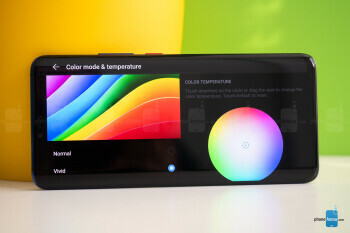 The biggest reason currently lies in the color reproduction. Colors are just a tiny bit too dull and not as lively and dynamic as on the iPhones and Pixels. 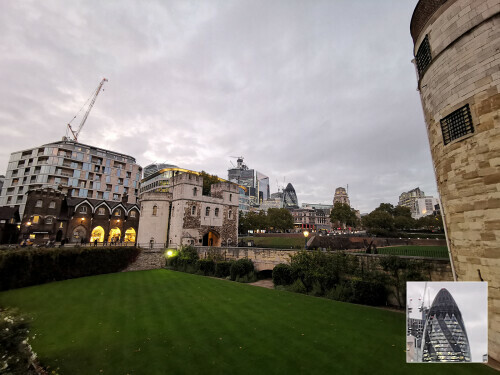 When you look closer, you would also notice there is a lesser amount of detail and noticeable oversharpening happening on photos from the Mate 20 Pro main camera. Let us clarify: we think that images from the Mate 20 Pro still look excellent and are comparable to something out of the Galaxy Note 9, for example. 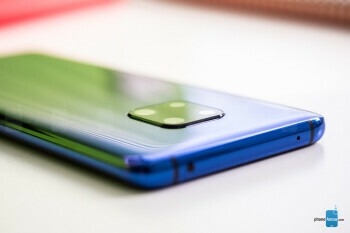 AThey are definitely a cut above most other phones, but a step short of the very, very best in the industry. At night, the Mate 20 Pro does a trick that other phones don’t: it sharpens photos by asking you to hold the camera still for much longer than a regular snap. This means snapping photos at night is much slower, but in exchange you get a brighter photo with more detail. 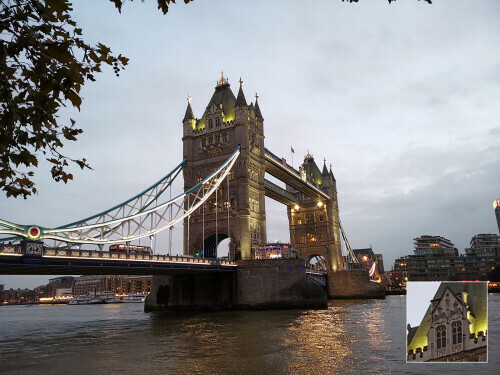 Oftentimes, this results in great shots that have a better exposure at night than on rival phones, so good job on this, Huawei! 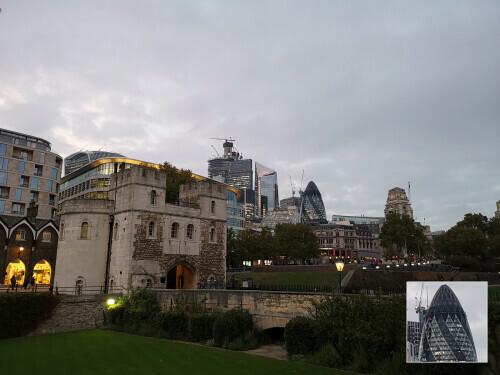 There are two areas, however, where the Mate 20 Pro truly excels: one is for zoomed-in shots with the telephoto camera and the second is the cool, ultra-wide angle perspective that you cannot get on most other phones. 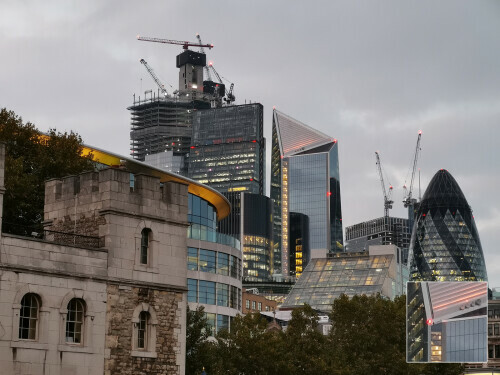 When comparing images shot using the 3x and 5x zoom modes on the Mate 20 Pro to photos from its rivals, it’s clear that the Mate produces a very clean, noise-free photo that looks great and very rich in terms of detail. Even at 5x, the amount of detail you get in a shot is simply incredible for a smartphone camera. On the video side, you have 4K30 video support, but no 60fps video recording mode. 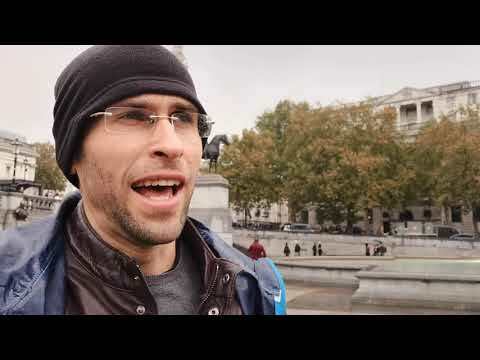 We found video recording quality to be a bit of a letdown, however. Again, we should clarify that we’re comparing with the very best phones at the top prices, the same tier where Huawei positions its Mate 20 Pro. So, the phone uses electronic means to stabilize the footage, but the implementation leaves a lot to be desired as there is a lot of jitter from the slightest movement and some very weird wobbly artifacts at the edges of the frame when recording video. Using the telephoto lens for video is also not a great idea. 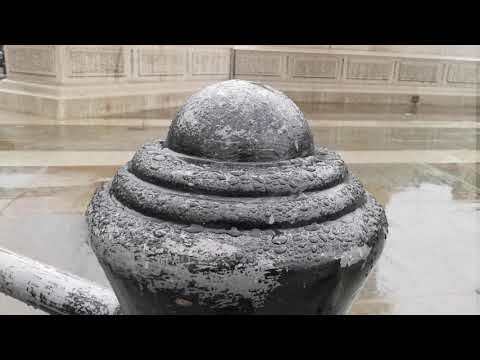 Footage is well stabilized at 3x zoom, but the phone often fades in and out of focus. Detail and colors are mostly alright, though. Huawei introduces a few new video recording modes powered by artificial intelligence. The first one is called AI color and it turns the whole scene black and white, with only the person remaining in color. 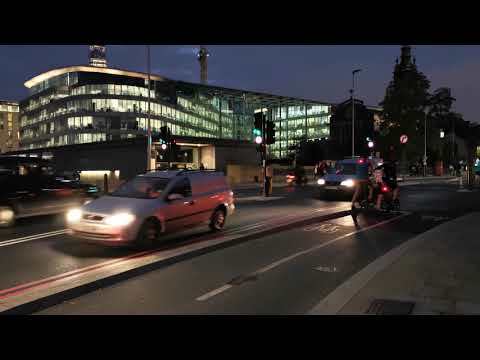 It’s a very cool effect, and we’re impressed with the accuracy of the Mate 20 Pro and how it’s able to detect a moving person in real time. The other effect is called background blur and it has a person in sharp focus, while the background is left blurred out. There is also a new cinematic mode with a 21:9 aspect ratio and superb video stabilization, but unfortunately, quality here is limited to 1080p. Still, we enjoyed this mode tremendously, as the videos in it turn out really moody and different. 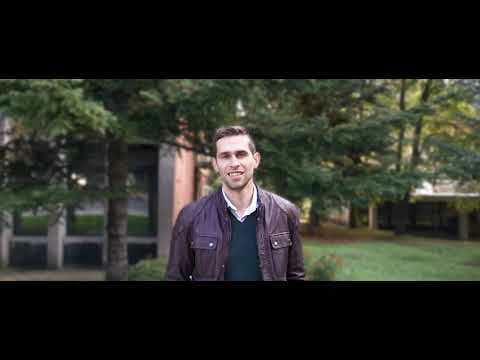 Sound quality via the loudspeakers on the Mate 20 Pro is loud and clear. As we’ve already mentioned, one speaker (the weaker one) is in the earpiece and you have a secondary speaker that fires through the USB-C port. This is a clever implementation on Huawei’s part and we like how you have a rich, full sound with a nice amount of oomph to it. Once again, let us remind you that the Mate 20 Pro does not have a headphone jack. It does come with a dongle, so you can still use wired headphones with it, or just go with USB-C buds or wireless cans. When it comes to call quality, we had no problems with the Mate 20 Pro. Calls came through crisp, with clarity in the earpiece and a nice amount of volume, so you can hear callers even on a busy street, and the same is true for the other end of the line. The Mate 20 Pro sports a massive, 4,200mAh battery inside, bigger than even the battery on the Samsung Galaxy Note 9. So how about the actual battery life? In our real-world testing, the Mate lasted a full day with ease, and for most users this would extend to a day and a half, but if you were hoping for a full two days off the charger, we’re not yet there. Unfortunately, we could not run our proprietary test on the Mate 20 Pro. The reason for this lies in the brightness controls on this phone. Just like many other Huawei and Honor devices, even when you set the brightness to a manual level, it would continue changing, and for our test it is absolutely mandatory that screen brightness remains at the same level. Turning over to probably the biggest innovation in the Mate 20 Pro, let’s talk fast charging. This new Mate comes with a super powerful 40-watt Huawei SuperCharge wall charger in the box that charges the phone fully in just about an hour and a few minutes. These are unprecedented charging speeds, and we’re really impressed how quickly the battery on this phone tops up. The Mate 20 Pro also supports wireless charging with the Qi standard, so you can just leave it on a charger at a desk and not have to worry about cables. Last but not least, you can use the Mate 20 Pro as a wireless charger to top up other phones that support wireless charging. You need to enable this first: go into Settings > Battery and scroll to the bottom to toggle ‘Wireless reverse charging’ on. It all works just as you’d expect and while it is a bit of a gimmick, it’s a cool one nonetheless. Huawei has made a phone that goes all out in terms of features, but it sadly does so in terms of price too. The official price for the Mate 20 Pro is set at around 1,050 euro, which is just slightly shy of the iPhone XS price, and the Mate 20 Pro is much more expensive than the Galaxy Note 9, which already costs 800 euro. 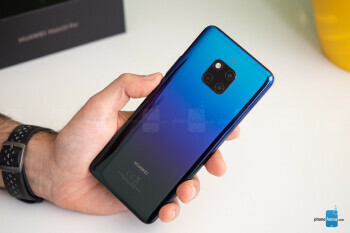 Once again, the Mate 20 Pro will not be officially sold in the United States, so there is no US dollar price (the global price translates to some $1200 dollars, in case you were curious). Your alternatives? Get the Note 9 if you want a cheaper phone with an excellent screen, camera and performance. Get the Pixel 3 if you want the best camera on Android. And consider an iPhone XS if you are after the world’s fastest-performing chip and top cameras. And if you want to save a buck, it would be a wise idea to wait for the OnePlus 6T that is coming soon at about half the price and similar performance. There is so much to like about the Mate 20 Pro and it would have been an easy recommendation, if not for the high price. The slightly jittery gesture navigation, the good, but not quite best-in-class camera experience and the unclear software update future make this phone feel a bit overpriced. But if money is not an issue, the Mate 20 Pro is right there with the very best Android phones, and you definitely will not regret using it.